Red Cross at the scene of Metro North train crash in Valhalla, N.Y.
Over the last 7 days, the Greater New York Red Cross provided emergency assistance to 141 adults and 46 children following 54 local disasters. Here are some highlights from last week and a preview of the week ahead. who were recognized at West Point Black and Gold Volunteer Awards Ceremony. Over the weekend, the Red Cross provided temporary housing and emergency financial assistance to seven families in Bay Shore (Long Island) who were forced to evacuate their apartment building due to a dangerous carbon monoxide leak that was discovered by a fire marshal. The news story indicated that residents had been using their stoves to heat their homes, which can lead to carbon monoxide poisoning as well as home fires. On Friday, Volunteer Services Manager Debbie Gibbons was the recipient of our quarterly employee recognition award. Congrats Debbie! Last Thursday, Red Cross Pet Therapy and Blood Services volunteers from our Metro New York North Chapter were recognized by the staff of West Point at their quarterly Black and Gold Volunteer Award Ceremony. Gail Colaccico was selected from a pool of over 30 nominees and presented the prestigious Volunteer of the Quarter award. 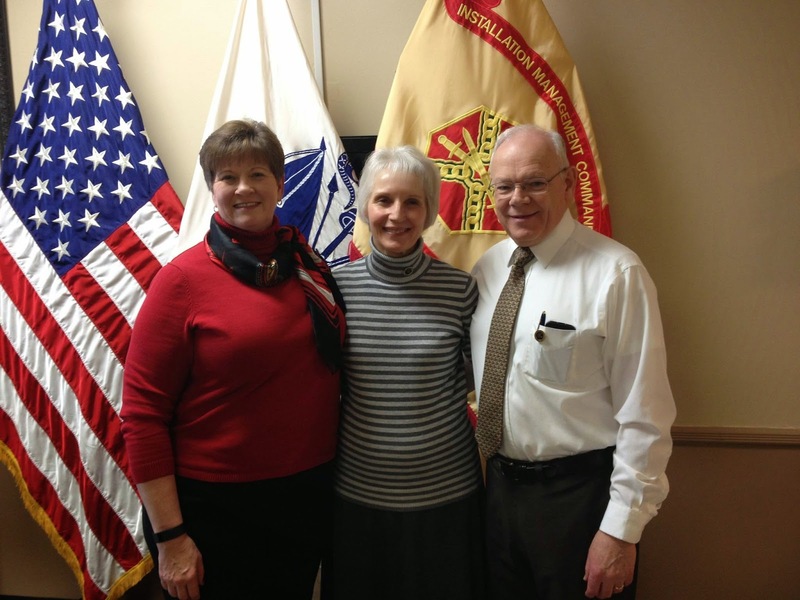 Gail chairs our West Point volunteer committee, coordinates our blood drives and volunteers at Keller Army Hospital. Way to go Gail and many thanks to all our West Point volunteers! 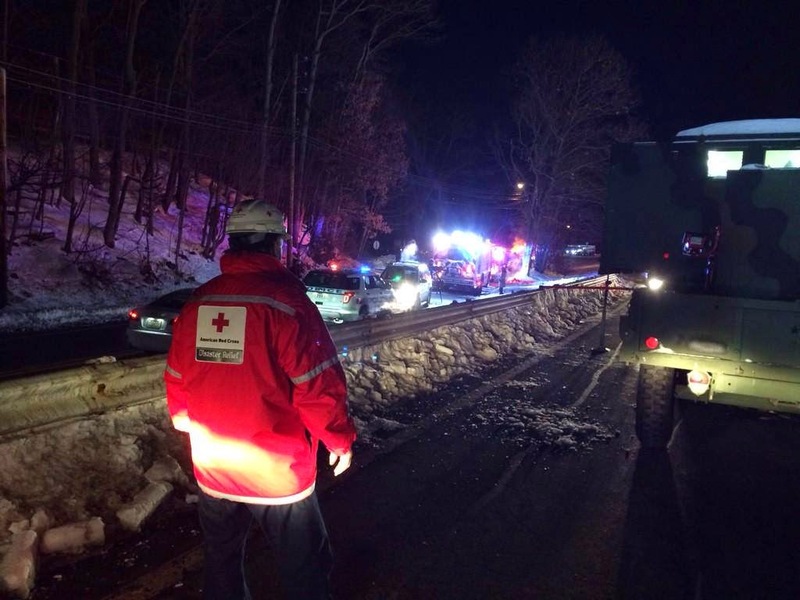 Tuesday evening, Red Cross volunteers and employees raced to the scene of a tragic commuter train crash in Valhalla, N.Y. to comfort devastated community members and to support first responders. Red Cross support continued for several days. On Monday, more than one hundred residents from Washington Heights were forced to evacuate their homes in the bitter cold due to a carbon monoxide leak on W. 163rd Street and Fort Washington Avenue. Working with City agencies, the Red Cross was able to provide comfort and warmth to the residents before the evacuation was lifted 10+ hours later and they were allowed back into their homes. How dedicated are Red Cross volunteers? Last week, we posted a video of Nade Coulibaly-Doucoure, who got married one week and then deployed to a Winter Storm Juno shelter in Cape Cod the following week! Feb. 9: Red Cross blood drive; 1 to 7pm; 520 West 49th Street, Manhattan. Click here to register. Feb. 11: The Red Cross will host 60 members of the Veteran’s Mental Health Coalition of NYC at our Manhattan HQ for a lecture on the issues facing women veterans. The event runs from 1 to 4pm. Registration is still open. Feb. 12: Red Cross blood drive; 1 to 7pm; 520 West 49th Street, Manhattan. Click here to register. Feb. 14: Press conference announcing new partnership between the Red Cross and the American Kennel Club. Stay tuned for more info. Registration is open for our popular Safety Town program for children! Event in Greenwich, CT runs from June 8 to 19. Event in Scarsdale, N.Y. runs from June 20 to 26.